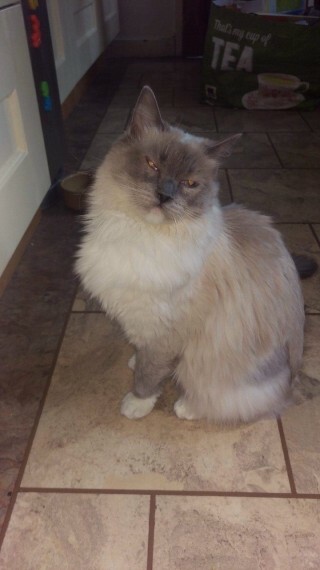 Full pedigree (with papers) female rag doll cat. Would need to be only cat in the home, unfortunately Misty is aggressive around feeding time and will bully other cats away from food, she will also scratch whomever is close enough to her when she feels the giving of food is too slow!! Misty like affection and likes to be centre of attention, she would be best suited to a home with no children or older children. She lives along side our small dog with no issues, in fact I think she prefers the dogs company to other cats company, and plays happily along side her!